These Lemonade Scones are ideal for morning tea with friends. They are easy to prepare and take hardly any time at all. They are beautiful with jam and cream fresh out of the oven. 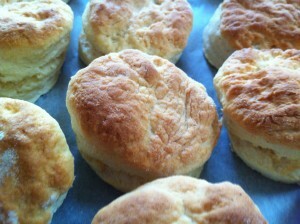 People these days tend to think that scones are old fashioned, however they are very easy to whip up and bake. I would encourage anyone to try this recipe. Thanks to Eleanor for giving me this recipe, these were a hit with my guests. Enjoy!